Electrical grid operation management is becoming more complex. Therefore, finding the appropriate maintenance strategies becomes increasingly important. Monitoring assets remotely for an accurate status diagnosis is a solution that allows to extend their life cycle and minimise maintenance costs. Arteche's monitoring proposal helps extend the life cycle of transformers. How? Without discharges that would compromise the operation of the electric system. The reliability of this remote monitoring assessment allows users to estimate the remaining lifetime of the equipment and make effective decisions. Arteche's vast experience allows us to provide comprehensive added value services. These services help to optimise productivity, performance, costs, and security of any electric infrastructure while maintaining results over time. Under the title Transformer Remote Monitoring System, our expert Enrique Chávez will present Arteche's experience and knowledge in sustainable management of electrical assets. And our expert José Miguel Nogueiras will present the work Safety in the operation of oil-paper instrument transformers. 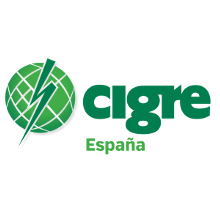 The presentations will take place during the Technical Conference of the 2018 Cigré Spain National Committee, held at Madrid on November 27 and 28.